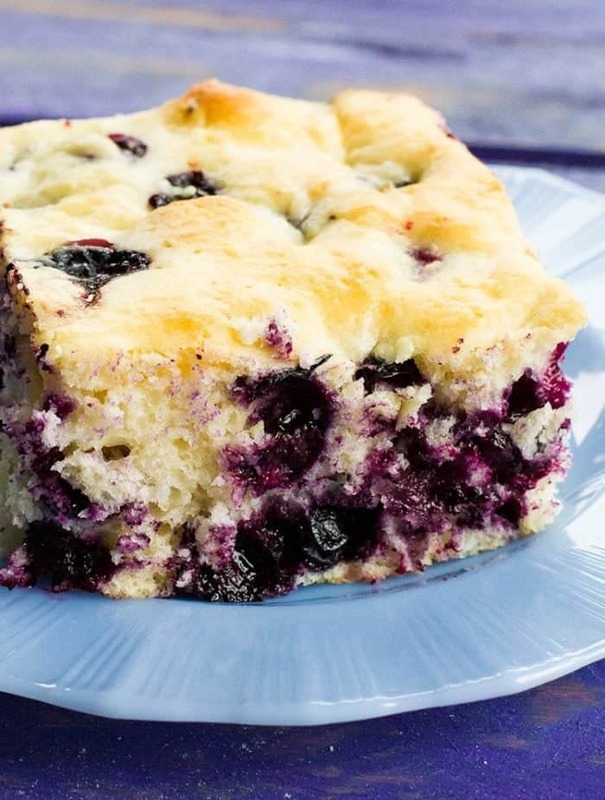 My new Lemon Blueberry Overnight Breakfast Cake might be your new holiday morning favourite! Yes. A cake that you can tuck into the fridge and then bake up fresh and hot the next morning! This has completely changed my breakfast game, you guys. Maybe you all knew about this before I did, but hey, sometimes I can be a slow learner. 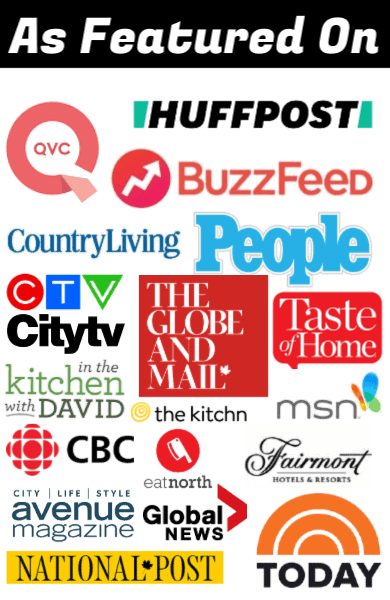 Overnight breakfast cakes are my new love, watch for another new recipe or two using this game changer before the holidays!It’s true you guys, overnight breakfast cakes exist! You can totally make coffee cake batter the night before, wrap it and then tuck your pan into the fridge until morning. And they bake up just fine, FYI. Just look at that lemon blueberry bliss happening right there. So am I the only one that didn’t know that overnight breakfast cakes were a thing? I found just a simple overnight coffee cake on Allrecipes and my mind starting working overtime on how to make the kind of overnight breakfast cake that I love. I love anything lemon and blueberry, so of course my first attempt at an overnight coffee cake would be a blueberry one. I will delve into some more seasonal ones but sometimes that burst of berry flavour in the middle of winter is priceless. Sometimes it’s worth paying the premium for blueberries and fresh lemons at the store for a treat like this. I hope that this helps you all with your holiday mornings now! I am going to have fun delving into other recipes for overnight breakfast cakes in the next month! 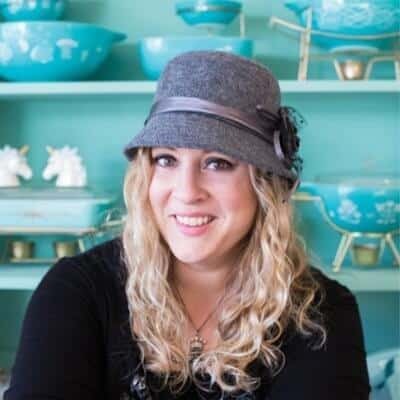 PIN this picture to your BREAKFASTS or DESSERTS BOARD and remember to FOLLOW ME ON PINTEREST! 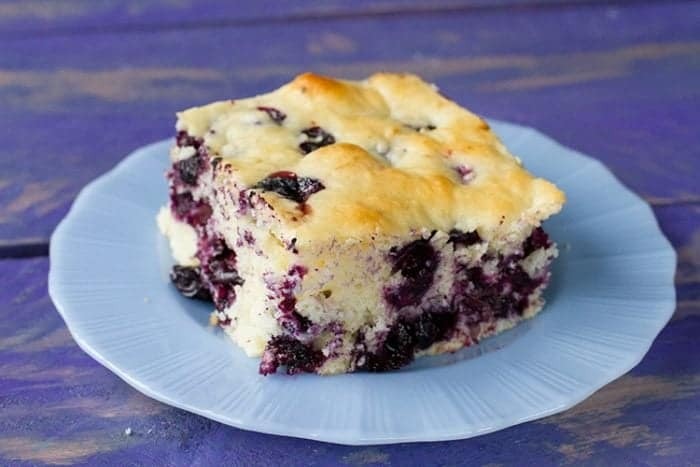 Lemon Blueberry Overnight Breakfast Cake! Make the batter the night before, put it in the fridge and bake it the next morning! In a large mixing bowl, whisk together the flour, baking powder, baking soda,sugar and salt. Add in the eggs, buttermilk, lemon juice, lemon zest, butter and vanilla. Beat with a mixer until blended. In the morning, remove the pan and place on the counter while the oven is warming. Pre-heat your oven to 350 °F. Bake in the oven for 25-35 minutes, or until a cake tester inserted comes out clean. Remove and serve while warm! You can make this cake right away and it still bakes up great! 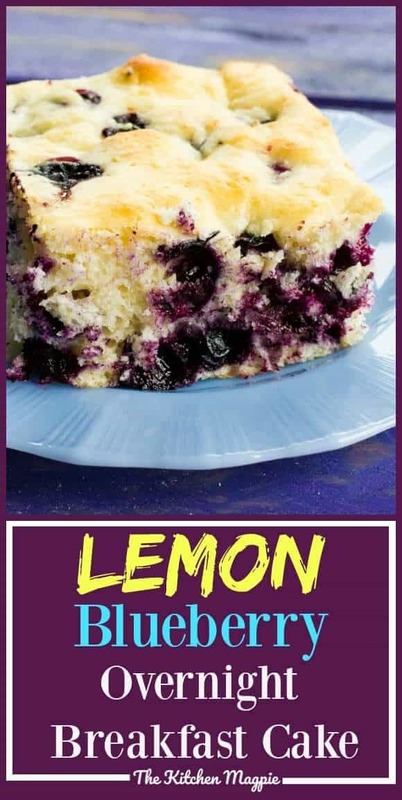 Just “okay.” Needs a little something to take it up a notch like a streusal topping or better yet a big plop of whipped cream or Cool Whip with some fresh blueberries on top. It was “okay.” Needs something to kick it up a notch like streusal topping. Or, better yet, a big plop of Whipped cream and fresh blueberries on top. In the recipe you ask for 1/2 cup melted butter, I added it to the wet mixture. The cake comes out white , not appetizing. Had company, some dared to try it pouring some heavy cream on it to moisten it. But all in all, it was doughy at the bottom and didn’t rise, was not fluffy like on your link pictures. NOT a good recipe. I’d guess it was your baking powder or soda, because I’ve not only made this many times but I also made a video where it shows exactly how it turns out, every time I make it. If it doesn’t rise, that’s your rising agents, not the recipe. Have a watch of the video. Hello! I noticed in the ingredients it says 1/2 cup of melted butter. However I don’t see it in the recipe anywhere. 1/2 baking powder?? Teaspoon? Tablespoon? Tried it, gifted it, great morning start. That looks delicious! 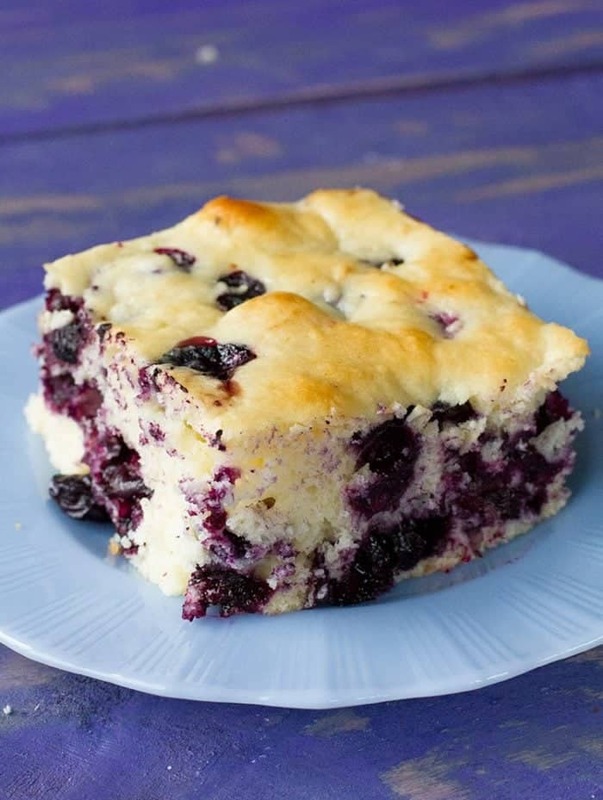 And I didn’t know an overnight breakfast cake was a thing either…but I do now! Thank you.